Bring luxury, elegance, and exclusivity to your tables with our decorative hand embroidered rectangular tablecloth, available in 52" X 70" and 60" X 104" (rectangular) sizes. 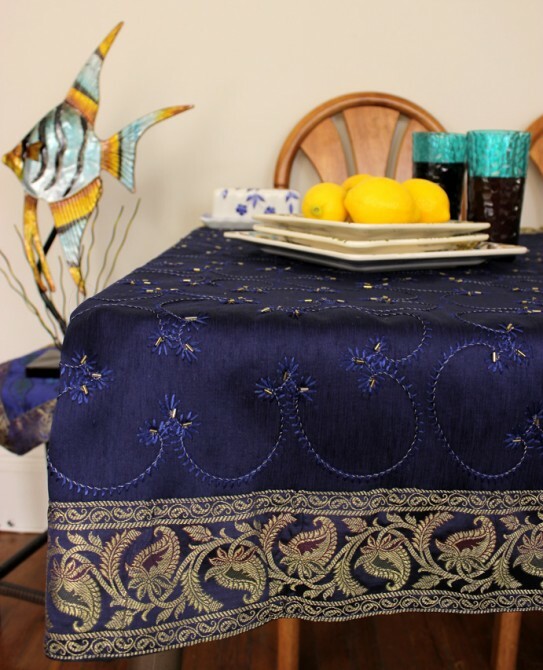 Available Sizes: 52" x 70" and 60" x 104"
Transform any tabletop into a display of art with the exclusive Hand Embroidered Rectangular Tablecloth from our Banarsi Designs collection. 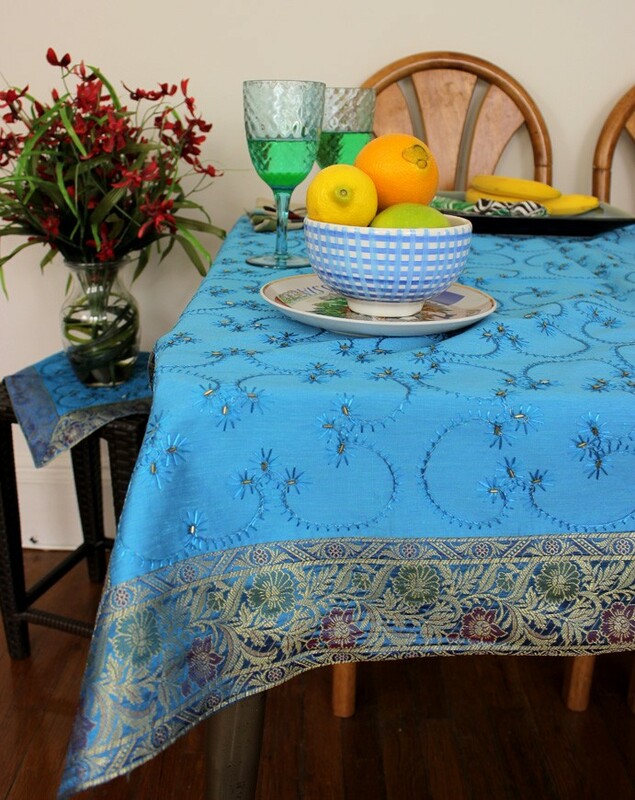 This beautiful and vibrant tablecloth is available in two sizes: 52" X 70" and 60" X 104" (inches). 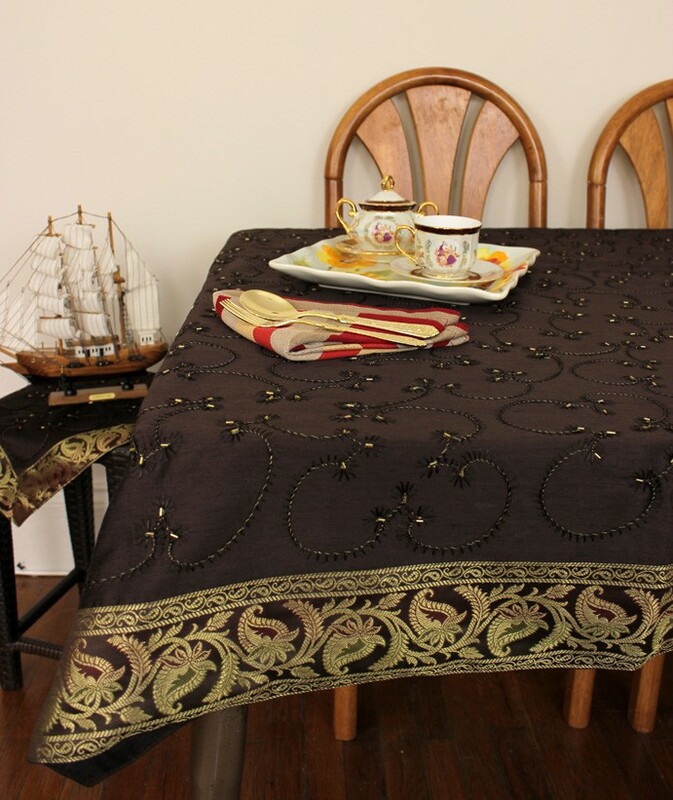 Crafted in India, our tablecloth incorporates hand embroidered beads throughout the entire abstract design and is available in a variety of bold colors including purple, coffee brown, and mystic black. 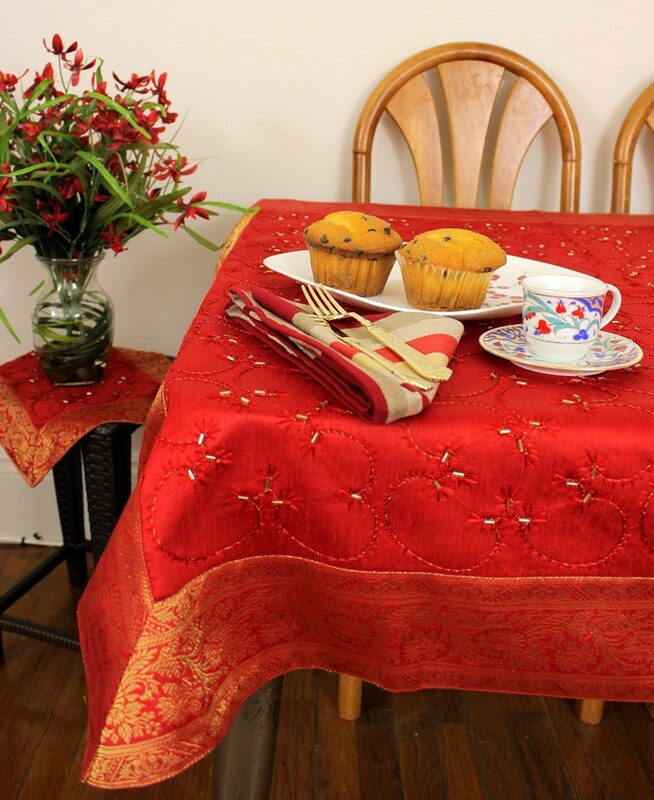 Our tablecloths are ideal for decorating your tables for every occasion and also make wonderful gift ideas. 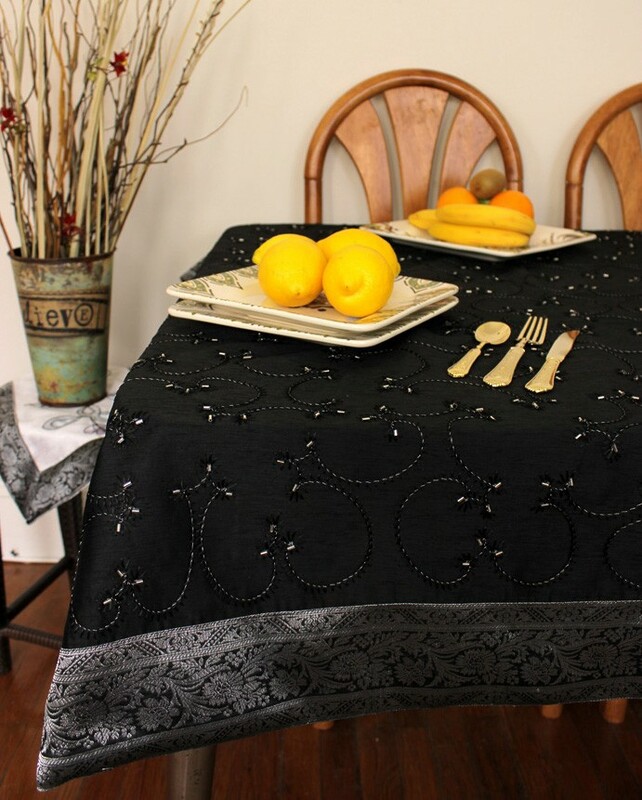 Velvet Sparkle Rectangular Tablecloth, 52" x 70"